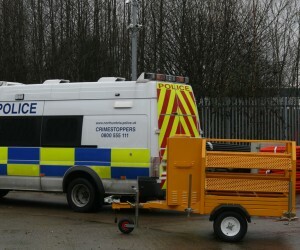 A four-columned CCTV unit, the Lewis Trailer was designed to be fully compliant to BS8418. One of the few solutions on the market at present which allow for a URN to be issued to short term or temporary installations. It can also carry an additional four cameras if required and in the event power is not available can be self-powered for a period of 168 hours before it needs to recharge. The standard trailer can cover sites of up to 120 square meters offering 360 degree vantage from its PTZ infra-red camera in complete darkness. The Lewis Trailer also has a further 7 cameras again with Infrared lighting making a total of 8 cameras and 8 movement sensors plus infra-reds. 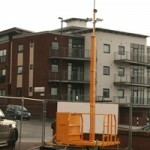 The CCTV tower scan be installed by two people and transmitting to our control room within eight hours. One column can be operational inside an hour. The Lewis CCTV Trailer has full audio detection and recording, while its integrated infra-red is sufficient to provide images capable of person identification. 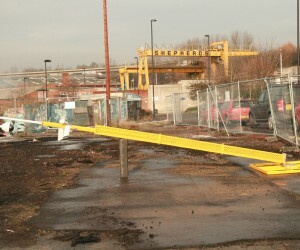 For Larger Sites multiple trailers can be used. 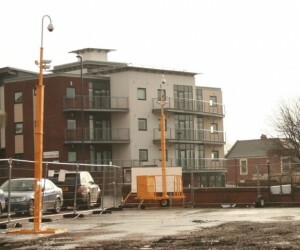 If required the trailers can be equiped with a 360 degree PTZ camera on each tower. Full audio detection and recording is standard on all systems Infra-red is sufficient to provide images capable of person identification..